Let us Empower your Child with Confidence and Discipline. Introduce your child to the wonders of Martial Arts. Additionally, our Children's Martial Arts Programs will build your child's self-esteem. We will help in the development of personal confidence and character. We will motivate your child to develop action steps for improving performance at school. Children need a fun, educational, and positive athletic experience and our programs provide all of these and more. This special is available Online Only. 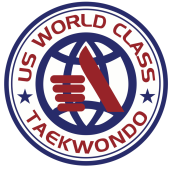 4weeks of Empowering Martial Arts Program, at two classes per week .